For readers of Kristin Hannah and Jodi Picoult comes a powerful, emotionally complex story of love, loss, the pain of the past—and the promise of the future. Annie Harlow knows how lucky she is. The producer of a popular television cooking show, she loves her handsome husband and the beautiful Los Angeles home they share. And now, she's pregnant with their first child. But in an instant, her life is shattered. And when Annie awakes from a yearlong coma, she discovers that time isn’t the only thing she's lost. Family Tree is the story of one woman's triumph over betrayal, and how she eventually comes to terms with her past. It is the story of joys unrealized and opportunities regained. Complex, clear-eyed and big-hearted, funny, sad, and wise, it is a novel to cherish and to remember. Annie Rush has always dreamed of combining her two loves, film, and food. As a child, she videotaped cooking shows in her family's kitchen. As an adult, she is producing a cooking show, The Key Ingredient, with her chef husband, Martin Harlow. The show is a hit, her marriage is going well, and now she's pregnant. 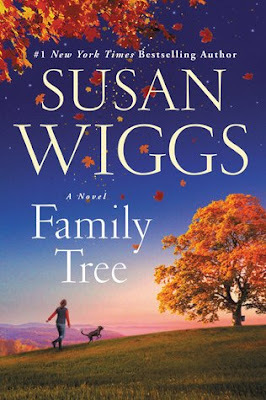 But Annie's dream quickly turns into a nightmare in Susan Wigg's latest, Family Tree. Annie Rush grew up in a small town in rural Vermont. Her family owns and operates a farm that produces maple syrup. Living in her family's ancestral home with her mother, brother, and maternal grandparents, Annie is happy but wants more. She wants to travel, cook, and learn as much as possible about the world and food. During her senior year of high school, she meets and falls in love with Fletcher Wyndham, a transfer student. Her romance with Fletcher is hot and heavy throughout much of their senior year and becomes an off-again/on-again relationship during her college years. As Annie struggles with what she truly wants out of life, her senior film project becomes an internet sensation and before she knows it, she has an agent, an entertainment lawyer, and a contract with a production company in California. The star of her film project, Martin Harlow, is now the star of a new cooking show and Annie's husband. A few years later Annie discovers she's pregnant. Eager to share the news with her husband, she leaves an important interview for the studio and discovers her husband in flagrante delicto with his cohost. Annie storms off the set and is injured in a freak accident. Fast forward a year and Annie wakes up in a rehabilitation facility in Vermont. She doesn't remember much of the past decade nor understand why she's back in Vermont. As she regains her strength and some of her memories, Annie reconnects with her high-school love. Now she must decide what she wants from this second chance at life and love. I found Family Tree to be a fast-paced and engaging read. I enjoyed the way Ms. Wiggs presented Annie's story in then-and-now vignettes. The "then" stories provide the reader with Annie's past in Vermont with Fletcher and her family, as well as with Martin in New York and California. The "now" sections focus on Annie in rehab and post-recovery. Both versions of Annie reveal a woman in the process of uncovering her strengths and weaknesses. The then Annie doesn't really trust her inner voice and loses the love of her life, Fletcher, after graduating from college. The now version of Annie isn't as quick to throw love away, even if she doesn't really trust her feelings or those of others for the long-haul. Family Tree provides a bit of romance and self-discovery in a story about memory, family, friends, hope, love, and second chances. 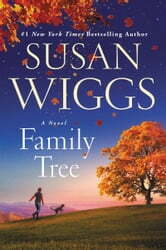 if you've never read anything by Ms. Wiggs then Family Tree may be the perfect book for your first read by this author. If you've previously read books by Ms. Wiggs, then you'll want to grab a copy of Family Tree to read ASAP. Disclaimer: I received a free digital copy of this book for review purposes from the publisher via Edelweiss. I was not paid, required, or otherwise obligated to write a positive review. The opinions I have expressed are my own. I am disclosing this in accordance with the Federal Trade Commission's 16 CFR, Part 255: "Guides Concerning the Use of Endorsements and Testimonials in Advertising."